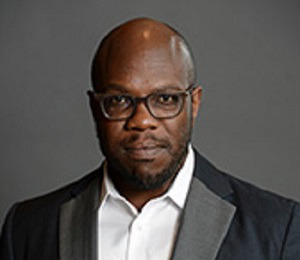 Dr. Huey Copeland, an associate professor of art history and the Arthur Andersen Teaching and Research Professor at Northwestern University, has advanced scholarship in contemporary and modern art of the African diaspora like few others. As an affiliated faculty member in African-American studies, art theory and practice, critical theory, gender and sexuality studies and performance studies at the school, the award-winning scholar has positioned his work at the intersections of class, race, gender and sexuality in Western visual culture. On April 26, the High Museum of Art will award Copeland the 2019 David C. Driskell Prize – which comes with $25,000 – for outstanding contributions to African-American art history. The coveted accolade adds to his lengthy list of grants, fellowships, awards and appointments, including from the Georgia O’Keeffe Museum Research Center for American Modernism and the Hutchins Center for African and African American Research at Harvard University. A native of Grand Rapids, Michigan, Copeland loved painting, theater and museum visits at an early age. He fell in love with the humanities while attending a magnet middle and high school, later earning a bachelor’s degree in art history and comparative literature at the University of Michigan. Copeland actually entered his undergraduate studies with more interest in physics and theater. But after freshman-year courses exposed him to art and art history, his interest turned into excitement and he went on to New York City internships at Metro Pictures art gallery and the Whitney Museum of American Art at Phillip Morris. Before finishing his bachelor’s degree, Copeland realized he wanted a career in academia. He went directly to graduate school, earning master’s and Ph.D. degrees in art history from the University of California at Berkeley. He chose that school, he says, because it was home to several social and art historians he greatly admired, all of whom later served on his dissertation committee. Copeland is a prolific author whose writings have appeared in scholarly journals and other major publications, including essays in international exhibition catalogues and Bound to Appear: Art, Slavery, and the Site of Blackness in Multicultural America, a book that examines how slavery shaped American art in the last decades of the 20th century and argues for a reorientation of modern and contemporary art history where the subject of race is concerned. Art history is challenging because art can’t be understood apart from its social, historical and cultural contexts, says Copeland. Additionally, the work of searching archives and the lengthy process of obtaining permissions for image use require much labor and support and can be expensive, he adds. Some of those rewards are mentoring and helping students, pushing the field “to be more equitable and diverse” and “being able to see conversation around Black artists shift and take on new depth and complexity,” says Copeland. And they should engage others as they engage art, he urges.